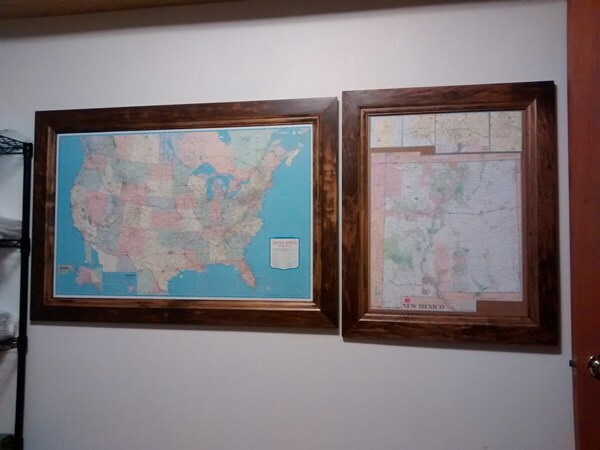 Finally finished both maps on 10/29/2015. Time to start sticking them with pins. Wish I had more places to pin but am only marking places I've been since retirement. 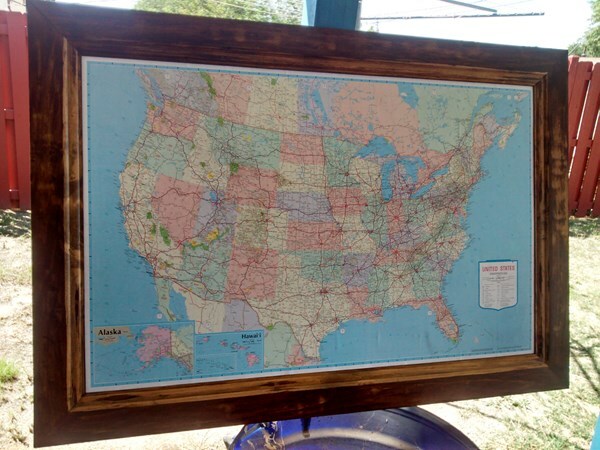 USA Map is now framed and ready for pins. One down, one to go. I have the maps, have the cardboard, bought spray adhesive and pins to stick in the maps yesterday. Just need to put them together and on the wall.